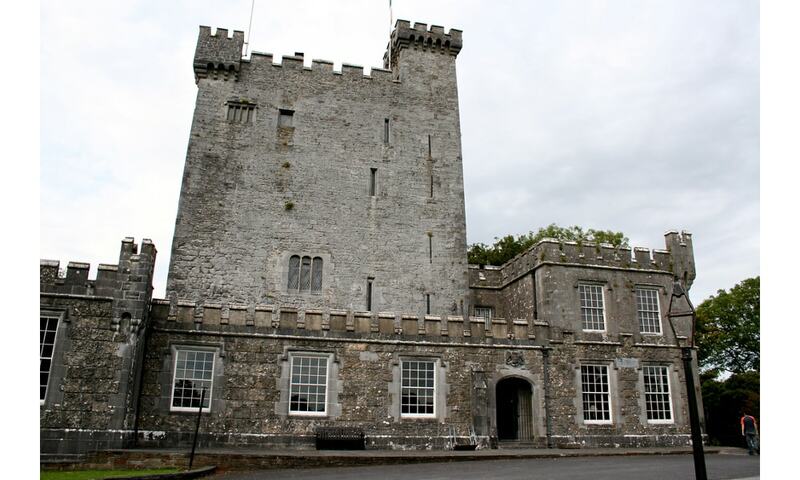 Knappogue Castle is a tower house, built in 1467 and expanded in the mid-19th century. It has been restored and is open to guided tours. The original castle was built in 1467, and is a good example of a late medieval tower house. The castle's name translates as "castle of the place abounding in little hills. Today, the castle is used as a venue for weddings and medieval banquets and offers guided tours. Dating from 1817, the garden is now restored to its former state. The walls of the garden have been refurnished with climbing roses, grapevines and many varieties of clematis. There is also a whiskey named "Knappogue Castle" produced by the Castle Brands company.